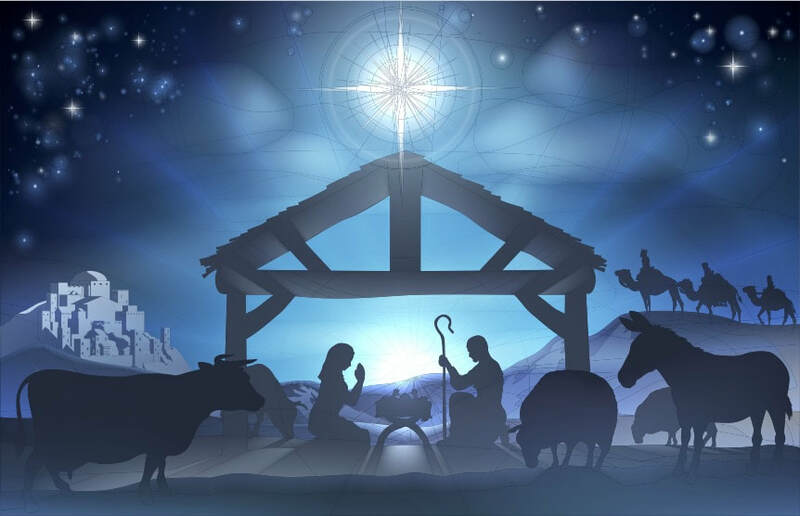 Children's Christmas Pageant, live Nativity, catered luncheon for everyone after the service. Gather in the friendly company of our church family to give thanks and enjoy a delicious meal. See Sue Rochon for the signup list of food or check the bulletin board in Wilson House lobby. “Harvest the Knowledge” is a free, community forum designed to educate and mobilize participants around the goal of reducing food insecurity in Westchester County. 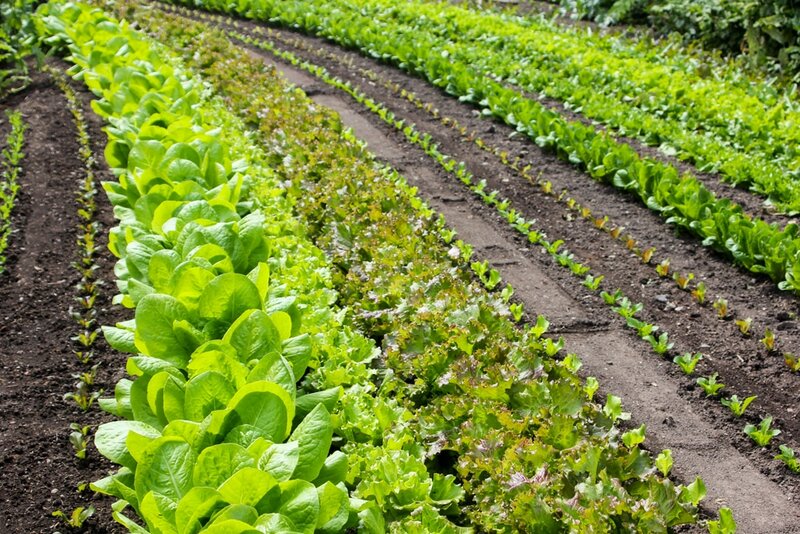 Local experts will examine lack of access to nutritional facts and foods, holistic approaches to nutrition, community gardens, and strategies for encouraging new leaders and empowering youth. Panel and discussion with potluck lunch, opportunity to network, and community tables with pertinent program information and materials. Childcare provided—including themed activities—for Westchester’s youngest advocates. Tracy Basile, food justice activist, writer, and adjunct environmental studies professor at Pace University. Yanira Padilla Cruz, patient advocate at Open Door. Doug DeCandia, organic farmer and food growing coordinator at Westchester Food Bank. Sonya Ennis, community services director and food pantry manager at First Seventh Day Adventist Church of White Plains. Chloe Fernandez, program coordinator at Westchester County Junior Youth Council. Rev. Richard Witt, executive director at Rural & Migrant Ministry. Free parking in the church lots. Harvest the Knowledge is supported by First Baptist Church of White Plains, Sun & Moon Yoga, Volunteer New York!, Westchester Junior Youth Council (Family Services of Westchester), Tower Garden and Whole Health Whole Home. Dress up your kids in their Halloween costumes for our third annual Trunk or Treat! Halloween party. Festivities include decorated cars with candy for trick-or-treaters and Moon Bounces to play in. Outdoors in the church circle. Plenty of parking in the church lots. For more information contact office manager Lucia Gold at 914.949.5207 or fbcwp@optonline.net. Children in costume at the 2016 Trunk or Treat! Halloween party. FOOD DRIVE FOR "PUTTING FAMILIES FIRST"
Receive your special grocery bag during worship or from office manager Lucia Gold. Fill it to the brim with healthy food items for our church mission, Putting Families First: Food, Faith & a Future. 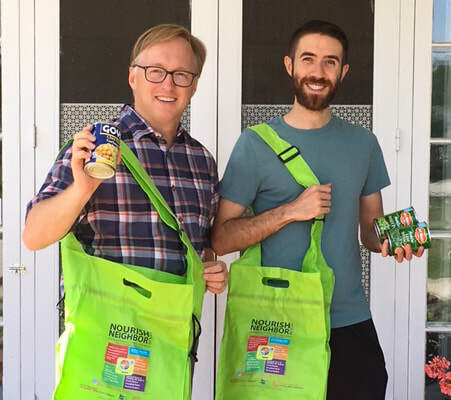 Pastor Tim and Matt Perez show off "Nourish Your Neighbor" grocery bags for our "Putting Families First" food drive. 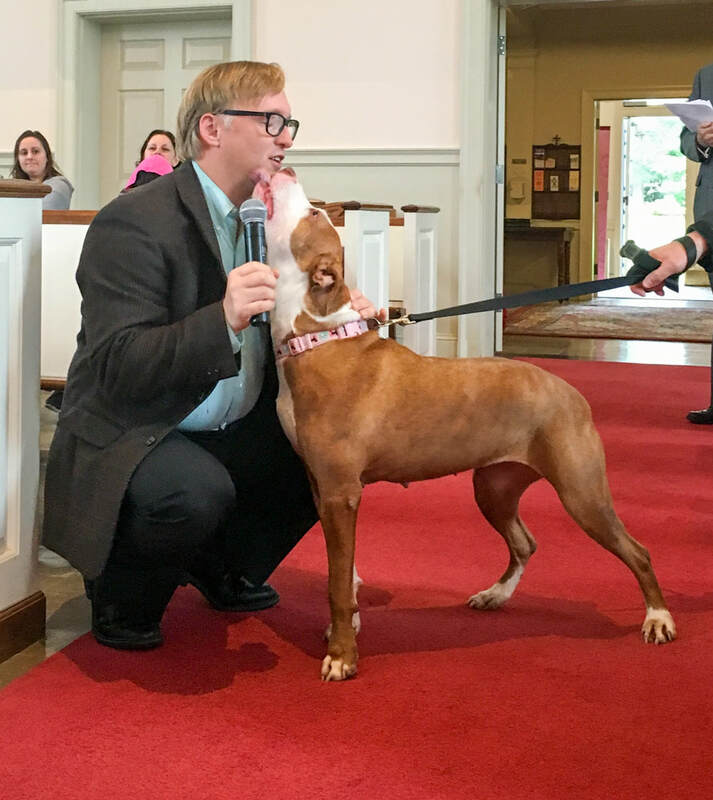 A free community event for pets of all religious backgrounds and their owners—in partnership with the Humane Society of Westchester. All your pets—whether they purr, bark, fly, or slither—are welcome. This special ceremony takes place in the church sanctuary. Each pet will receive an individual blessing and a treat from Rev. Tim Dalton. Please bring either pet food or a monetary donation for the Humane Society of Westchester, and meet some of their adoptable shelter pets. For more information, contact Lucia Gold in the church office: 914.949.5207. Come celebrate the beginning of the new church year with good fellowship and food. Hot dogs, hamburgers and beverages provided by First Baptist. Bring a dish to share. Sue Rochon is monitoring a signup sheet so that we will not have duplication of dishes. The sheet is posted in Wilson House lobby. Please sign up there or email Sue at rocs263@gmail.com. 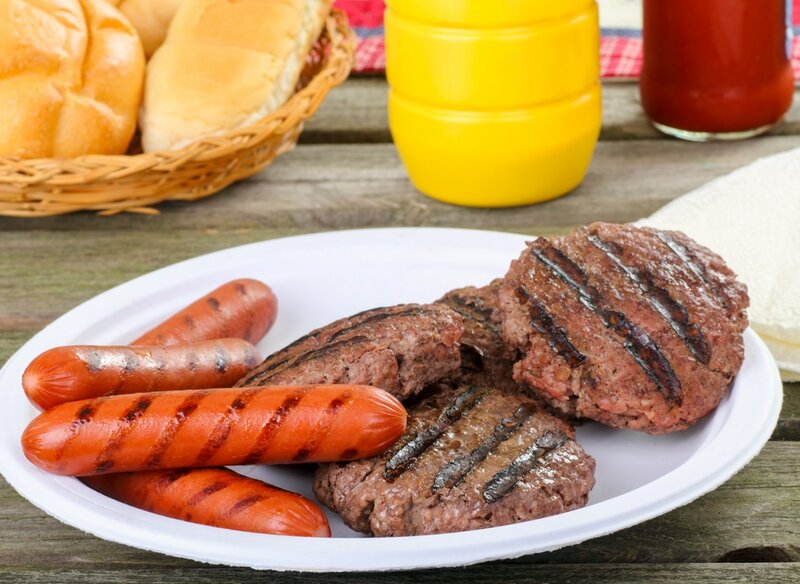 Grilled hot dogs and hamburgers are provided by First Baptist. Matt is our Worship Minister.​ All are welcome to attend the ceremony. Cookout on the lawn behind Wilson House begins at 6pm. 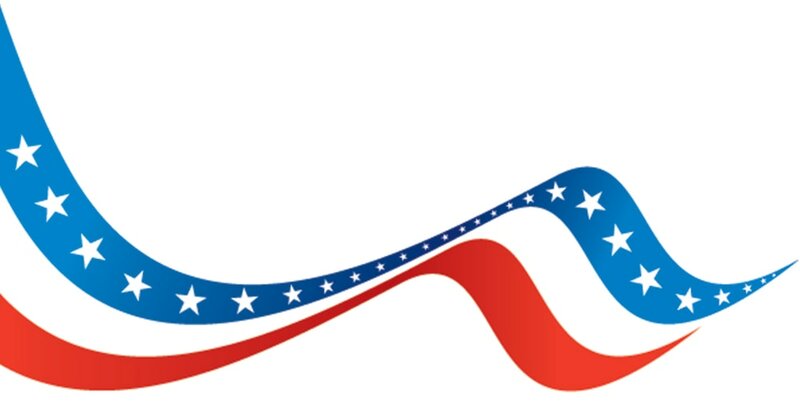 Fireworks by the City of White Plains next door at White Plains High School start around 9pm. Bring a dish to share. Hot dogs, hamburgers, buns and beverages provided by the church. Play lawn and board games or just enjoy good conversation and a colorful display of fireworks. Come celebrate the beginning of the summer season with good fellowship and good food. Hot dogs, hamburgers and beverages provided by First Baptist. Bring a dish to share. Come, join us for a fun-filled evening and help the cause! Order your tickets today. Live music. Raffles for cash and prizes, which include a child's guitar, a professional car detail, artworks, dinner for two at a local restaurant and much more. 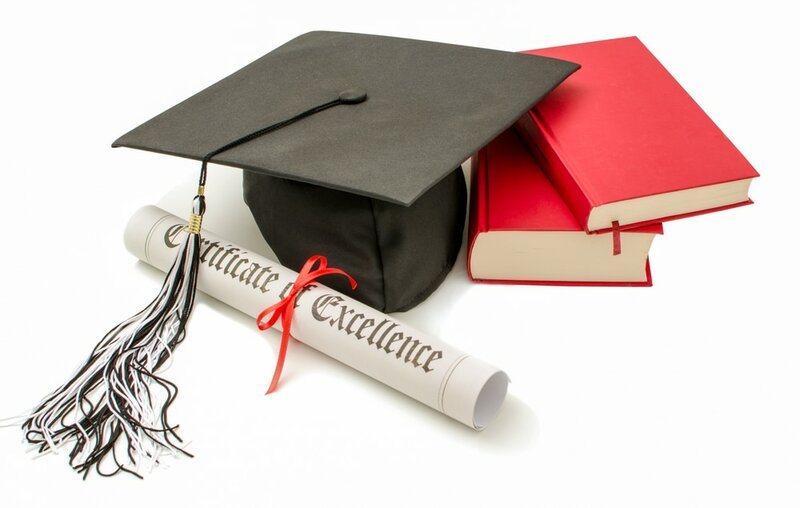 Best of all, you will be helping a student pay part of the cost of college. Co-hosted by First Baptist Church of White Plains and Iglesia Misión Bautista.Hispana de Westchester. Tickets are $25 each for adults. Journal ads range from $25 for a "Friends" listing to $100 for a full page or $50 for a half page. To buy tickets, raffles and ads contact either Alta Casilla (Misión Bautista) at 914.498.1620 or alta4god@gmail.com, or Lucia Gold (First Baptist) at 914.949.5207 or fbcwp@optonline.net. ​For more information about the fund visit our Scholarship page. ​There are seedlings in the greenhouse eager to be transplanted into Margaret's Garden, Time to dig in the soil. Stop by to help any time between 1 and 4pm. This is the first of two "Planting Days." The second will be held on Saturday, June 10th, same time. 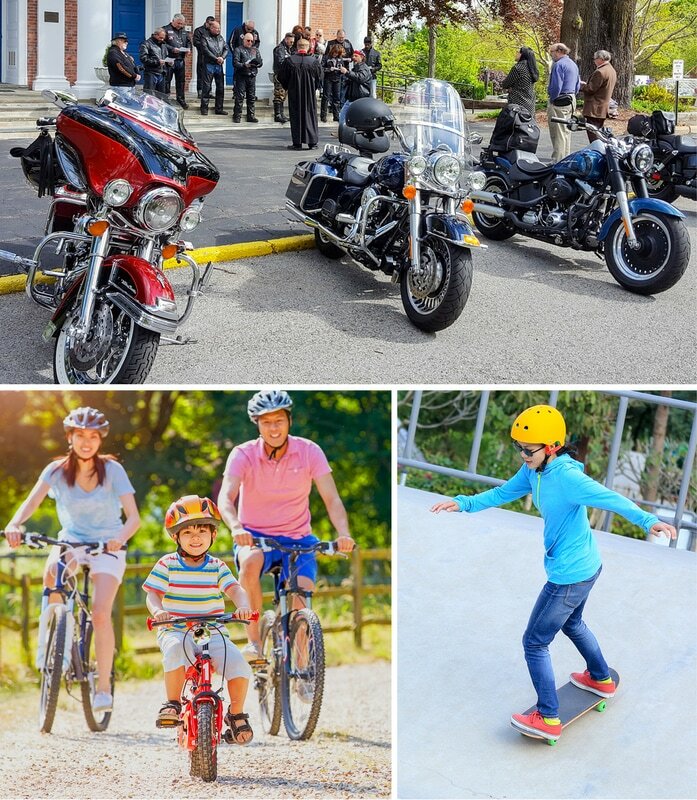 Stop by on your motorcycle—or your bicycle or skateboard! We are hosting this free, non-denominational, community event for bikers, skateboarders, and their friends and families. Senior Pastor, Rev. Tim Dalton, will conduct a short service and ask God to bless each rider and bike or skateboard to be safe for the upcoming riding season. ​Meet in the church circle. Free parking in the church lots on Bryant Avenue. ​For more information, contact Lucia Gold, Office Manager, at 914.949.5207 or fbcwp@optonline.net. ​The Easter bunny has hidden over 1,000 eggs on our campus for children ages 2-12, so hop on over to the hunt. Assemble on the front and back lawns at 11:45am. The hunt starts at noon. To add to the fun, a face painter will be onsite in Wilson House. There is plenty of free parking in the church lots along Bryant Avenue. For more information: contact Lucia Gold at fbcwp@optonline.net or 914.949.5207.